I don’t know what it is, but I LOVE Andrew McCarthy. And I will forever. I will be 80 years old and still have a massive crush on him. Pretty in Pink is the best movie ever. I’m watching it tonight while scrapping… sigh! With the famous kiss. I remember watching that over and over with my sister’s when the movie first came out. I was like, 8 years old at the time. He’s so cute! I love his eyes, I love how he holds Molly Ringwald’s chin when he kisses her. If I could have one wish come true, it would be to remake the movie, starring me and Andrew McCarthy. yes, he is yummy.. he was in (briefly) spyderwick chroncles and still looks hot. I too was an 80’s kid but… William Shattner was my kid crush *shame* ha ha… I was like 4 at the time tho. I love him too. I am so glad they cast him in “Lipstick Jungle”. Hope March hasn’t been too crazy for you! Miss you…I’ll email you later this week! Ok. I totally have to watch Spyderwick. And Lipstick Chronicles – I didn’t know he was in that! Glenda – James is totally ok with this crush. 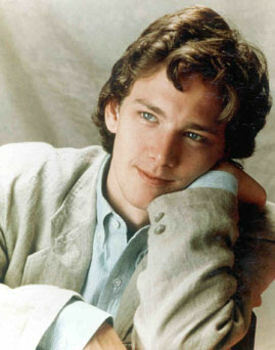 Hey, I’ve loved Andrew McCarthy longer than James, hahaha! i think you’re putting words in my mouth. While imagining putting some actors lips in yours.